It’s funny how priorities seem to change as you age and as your income changes. Years ago, I never would have thought about paying for something I could do myself… nowadays though, that line isn’t always so clear. Time versus money is a topic that I think we’re all familiar with. When you’re young and scrappy, you likely have a little more time on your hands and little less money. Eventually though, life catches up to you and things like a spouse, career, and maybe some kids tend to make time a little more valuable. Hopefully, your career starts to generate a little more income for you as well as you gain experience in whatever field you’re in. I didn’t think anything about the time it took to do it. The cost of parts was next to nothing so it really just made sense. Nowadays, I can easily get an oil change at NTB for $19.99 so there’s no way I’m wasting the time buying the oil and filter and spending the time needed to change my own oil. A lot of times, I’ll sit in the waiting room while the service is being done and get other things done that I feel warrant my time better… like this blog for instance. I also remember moving into my first house I ever bought. I got it with the sole intention of living in it or a few years, fixing it up, and then turning it into a rental. Once I moved in, I quickly learned that my only problem with this plan was that I was not as good at fixing things as I thought. At the time, money was more important than time. One time I replaced about 10 windows in the house. This was a big endeavor (for me at least), but I had a co-worker that came down and showed me how to do everything from measuring to helping me install the first one. 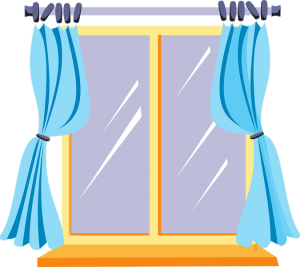 Even after doing the first one, I was still pretty slow at the process of replacing them, but I eventually was getting them knocked out – about one every evening. Then on the last evening, I pulled out the existing window and inserted the new one. Everything fit right, but I pulled it out of the opening and then put it back in anyway just to make sure… it fit like a champ. So I took it back out again, put the pink fiberglass insulation layer on top of the window, covered it with the topper, and then put a nice layer of silicone on the top of the topper. Unfortunately, it suddenly didn’t fit in the opening anymore… it almost seemed too wide which was pretty weird. I pushed on it… nothing. I pulled the window back out and tried again… same thing. I was getting frustrated because I knew I had a limited amount of time before the silicone on top would cure. I started pushing harder on the window… nothing. I gave the window frame a good pounding with my fist. This didn’t fix the problem… but something worse happened. The topper fell off in the process. In fact, it turned over as it fell and decided to land right on my head, silicone-side down. So now I’m standing there with a window that won’t fit and silicone covering my head. It wasn’t a pretty sight. Now time was really of the essence. I had to re-coat the topper with more silicone and start trying to fit the window again. All the while, I could feel the silicone getting sucked into my head. My nose was running and my eyes were burning enough that it was hard to see. I messed with that stupid window and just couldn’t get it to fit. I then got mad (which I seem to get during every project) and started “tapping” the sides of the window frame with a hammer to fit it in the opening. Finally, after a good push and several love-taps with the hammer, the window went into place – and it didn’t break! No time to celebrate though… all I could think about though was getting the silicone out of my hair. I ran into the bathroom and jumped into the shower. Here’s a tip for anyone who’s not a handyman or woman… silicone does not wash off with water. In fact, it starts to cure, or least it did in my case. So I had to call a friend of mine who’s good at all this repair stuff and say “how do you get silicone out of your hair?” His response, of course, was “I don’t know, I’ve never applied it to my hair before.” Wonderful. Eventually, I went down to the basement to the wash tub and poured paint thinner overhead. The good news is that the paint thinner got the silicone out of my hair pretty easily. The bad news is that my hair was unbelievably thin for a week after that incident. Lesson learned. 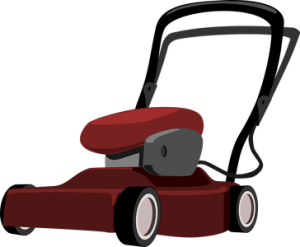 I’ve talked about mowing my lawn… I hate it and it could be considered a great option to free up some time every week. However, it does get me outside and it also gets me some needed exercise throughout the summer. So, as much as I’m not thrilled doing it, it’s something where the time isn’t as important as the other benefits. And now, with winter upon us, I have the same fun with snow-blowing… stupid Ohio!! On the other side of the spectrum, I’ve been cutting my own hair for a few years. In this case, it’s hardly a matter of time versus money. It’s free for me to do, I can cut it anytime I want, and it takes me less time to get it done (if you factor in the drive time to and fro). Time versus money is one of those balancing acts that a lot of us face. My step-father has always struggled with this. He was raised to do everything… always. But he has a hard time trying to get everything done because there just aren’t enough hours in the day. And now, as he’s gotten older, it’s tough for him physically to do everything himself. But hiring out tasks that he knows he can handle himself is a real conflict for him. I’m sure we’ve all had the idea of being filthy rich and not lifting another finger. But I’m not so sure that if that were to ever happen that I would just sit back completely. I feel like doing some of your own work provides you with an appreciation for the work, exercise in some cases, and it gives you a chance to continue to learn how to do new things. Although I would love to “outsource” a lot of the mundane tasks, I never want to get to the point where I stop learning and doing. So there you go… when it comes to time versus money, it seems like time becomes a little more important as you get older and likely have a little more money. But that division between time and money can vary greatly with everyone. I think overall I still tend to value money a little more than time, but I see that trend starting to shift as I continue to focus on things that I consider more important in life. Things like finding new real estate investments that give me a greater return on my money make more sense for my time. Although I’ve gotten better at home repairs than I used to be, I now have a handyman that I call in for some of the bigger jobs around the house. 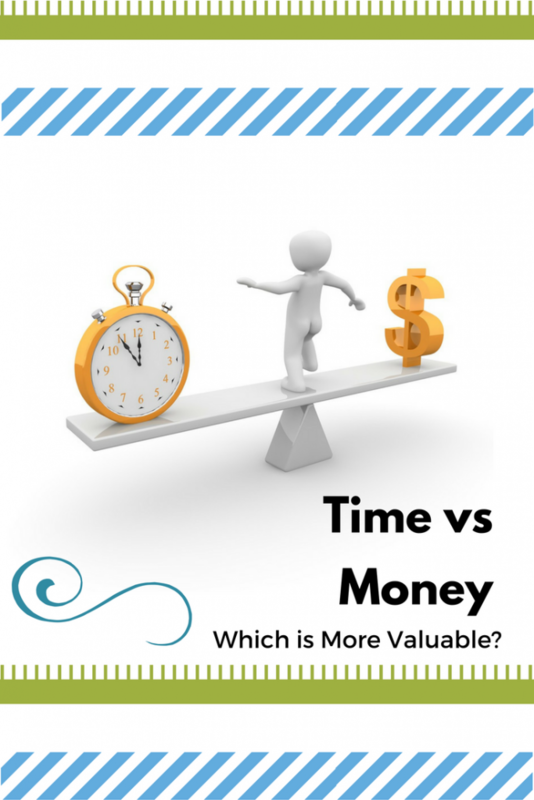 How about you – do you tend to value time or money more? ← What’s Your Post-Retirement Multiplier? I always find that doing simple tasks like mowing the lawn or changing the oil, are more about letting your mind take a break. I find them relaxing. You can’t over-optimize your time – sometimes the best thing to do is put on your shoes and get out in the yard to rake the leaves! It really comes down to whether there are other benefits to me doing it. Sometime I enjoy doing it myself simply to learn how, or for repetitive items to just shut my brain off. Other times it’s easier to do it myself then wait my turn to have someone else do it. Still things like oil changes no longer fall into either category so I pay someone to do it. I loved the story by the way. Thanks FTF – that’s true that waiting for someone else to get something done can sometimes be the kick in the pants needed to just do it yourself. Like you said, it’s a balance. Some things also require specific tools and experience. If you’re pressed for time, hiring someone is an easy way to go. Haha! You wouldn’t want me to do it, I’m way too slow! I can relate. One thing I’ve discovered is that if you can find a good handyman, they pay for themselves. While I can probably manange some of the DIY tasks myself, inevitably I get started and realize I bought the wrong size or I need a different tool or I break some something else along the way. I have someone who has made a career as a handyman. He gets discounts on products and his rate is so low, I often feel like I should offer to pay a little extra. Plus he’s so much more efficient and creative seeing solutions that I just don’t. In the end, I’ve decided that generally it’s worth it to hire him for much of our home maintenance and improvement projects. That’s great – finding the right handyman can make all the difference. I’ve got “a guy” that I found a couple years ago and he’s definitely been a life-saver! Good post. In the past, we always would just call a handyman to do repairs. Over the last year or so, we started looking on YouTube and there are videos on how to fix just about anything. We cut our own lawn too. For oil changes and hair cuts, we let the pros do it. Thanks, Dave – you’re right about looking on YouTube for fixing things – it seems like you can find a video for everything out there! For me . . . definitely TIME. Money is important, but it’s a means to an end for me . . . always. Likely it’s an age thing, but I also think it is a ‘being’ thing. Money just doesn’t elicit the emotions or life moments that time can . . . sorry to be sappy, but I don’t need money to see, to hear, to love, to laugh, to taste . . . that stuff does take time though . . . and the more time you have, the more there is to enjoy. Very true. Chances are that even the retired richest of the rich don’t have enough time in their lives. Like you said, “the more time you have, the more there is to enjoy.” I would love nothing more than to be FI right now just so I could have a lot more time with my daughter throughout each day.